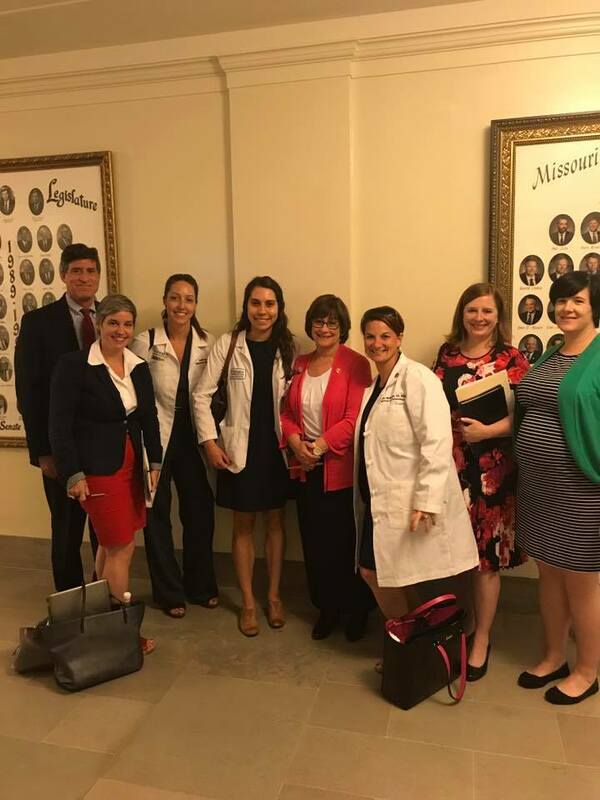 Missouri Governor Greitens announced on June 7th that he is calling a special session to discuss an anti-discrimination bill and to bypass the constitutionally protected right to an abortion reiterated in the U.S. Supreme Court’s Whole Woman’s Health v Hellerstedt decision. Associated costs. There has already been one special session in Missouri this year and it cost taxpayors $66,000 for just a week, and that's with legislators only coming in on the days that there were votes. With it averaging $20,000 a day to have a special session, is this the best use of taxpayer dollars? The GOP-led legislature didn't approve a proposal which would have nullified the anti-discrimination bill, so it seems to be simply politically motivated instead of based in practicality, such as a legitimate emergency issue, especially since Governor Greitens is holding three campaign-like rallies before the special session to garner support for his initiatives. This is not being pro-life. In a video message shared on Twitter on Wednesday, Greitens declares himself to be “pro-life” and “proud to support life — the lives of mothers, their children and the innocent unborn.” This hardly feels like it's about the health of women or fetuses as he purports - these measures will make it harder for women to get access to the healthcare that they need. I wonder what Governor Greitens would say to me, who terminated my pregnancy to protect Grace from pain and harm, and to protect my own health? If he's truly pro-life, he'd want to ensure women can access health care as they need it, that fetuses that receive devastatingly awful diagnoses like Grace did can be treated with care and compassion, and that women cannot be discriminated against for doing so. Greitens's initiatives are not common sense: It's hard not to just see Governor Greitens as another politician beholden to absolute pro-life donors. I would love to be wrong about that feeling, but the changes that Greitens wants to make (remove anti-discriminatory protections and go around a measure that insists women have access to health care facilities that provide abortions) are not common sense. Should I not get a job because I terminated my pregnancy after learning Grace had a fatal fetal anomaly? Should I not be able to get reproductive health care because I live in Joplin or Springfield? As Judge Sachs said in his decision to file an injunction, women's health is actually harmed more than hurt by laws that limit access to abortion-providing health care facilities. If Greitens were holding a special session to review a practical, inclusive, common sense initiative to find compromise between the parties, I'd be in full support of that. As it is, he wants to hold an expensive special session to endanger Missouri's women and, in our case, hurt our daughter and us for sparing her an inevitable and painful death. I'm pretty discouraged to see this happening. I want to trust our politicians to truly do what's best for their constituents, not instead leaving their constituents feeling helpless, indignant and dismissed. Where is the compromise and practicality, and respect for our tax dollars? After what we went through, I want to see our state laws become more inclusive to include situations like ours; the very real outcome of not doing so is babies like Grace being forced to be born into immense pain and death. 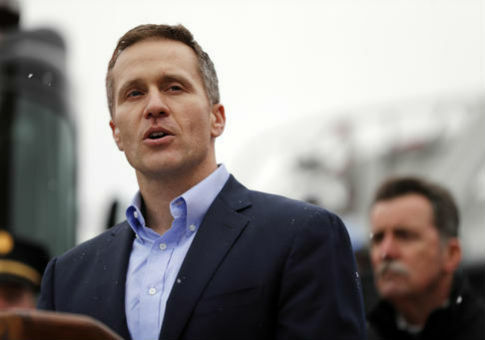 But instead Governor Greitens appears to be insistent on instead pushing through dangerous and harmful initiatives that diminish Missouri's women down to assumptions and hypotheticals, and offer no compassion. If you would like to call Governor Greitens' office to express your concern and dissatisfaction with him calling a special session, costing tax payers $20,000 a day, for political reasons instead of emergency issues, his office number is (573) 751-3222. It is also helpful to call your representative; you can find out who yours is and their contact information here: link.